Product code: 1738 Categories: Sold Items, Sold Watches. 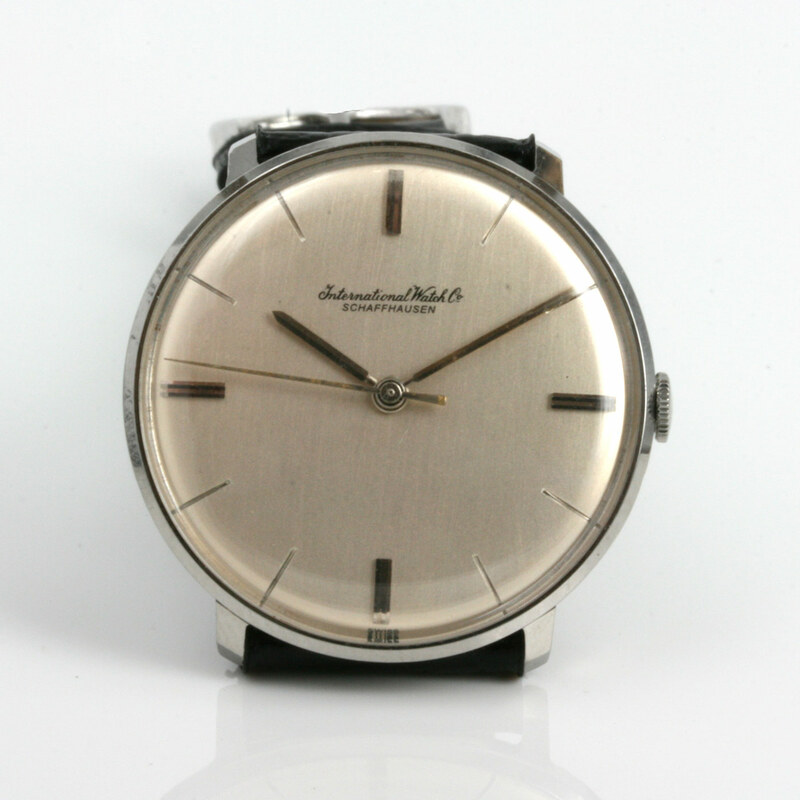 This classic IWC watch dates from the 1960’s and is in a stainless steel case that measures 33mm across plus the crown. The dial is so typical of the vintage IWC wrist watches with that discreet and classic lettering and this dial looks great with the centre sweep seconds and enlarged batons at 3,6,9 and 12 o’clock. Nothing beats the look and style of a classic vintage IWC watch from the 1960’s, and this one is a true classic watch.